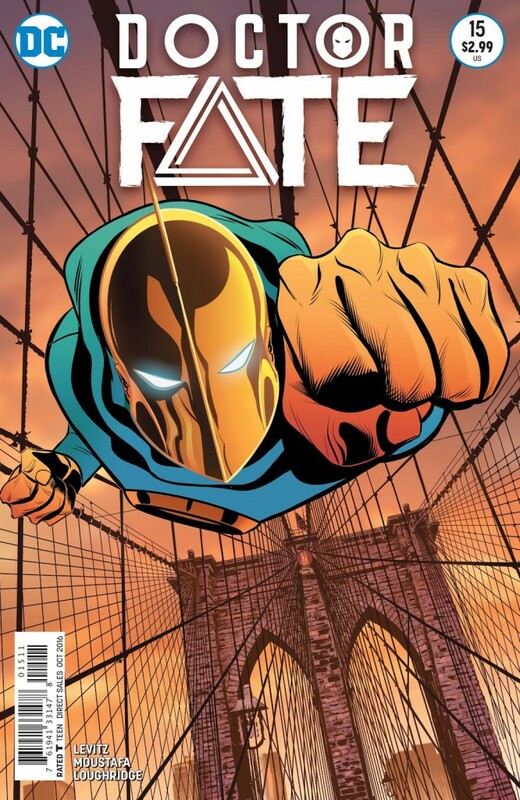 Trapped in the realm of the Efreet, young Khalid Nassour must fight to regain his soul or be lost for all eternity in another dimension, and the only person who can aid him is the previous Doctor Fate, Kent Nelson. But has Nelson returned to help Nassour learn how to wield his powers, or to wrest them from him and keep them for himself. As we learn the startling answer to that question, Nassour’s life hangs in the balance.